BeefCast 0450 - What does it take to be the National Stocker of the Year? This year's National Stocker of the Year Award Winner, Leo Hollinger of Hollinger Cattle Co. in Camden, Alabama, provides his perspective of finding success in the stocker segment. 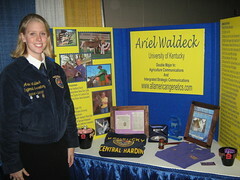 Perspective and insight from the 2010 Cattle Industry Annual Convention This BeefCast Conference Connection page has several important sessions to share with your staff and business partners. BeefCast 0441 - How can you manage moldy corn and silage to ensure cowherd and newborn calf performance? Which topics are on your list of concerns for the coming year? Your responses will help improve BeefCast. Plus, by completing the survey, you can be entered to win a $100 Target gift card. Survey link. 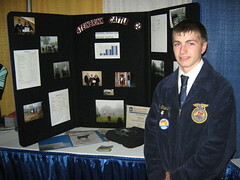 Tyler Steinbrink and Steinbrink Cattle Co., 2009 FFA Agri-Entrepreneur. Tyler says that raising cattle takes perseverance and you need an attitude that prepares you for the ups and downs of the business. BeefCast 0419 - What's inside the new Best Practices Manual for Stockers & Backgrounders? Laura Nelson, Certified Angus Beef, talks with Dale Blasi, Kansas State, on the new Best Practices Manual for Stockers & Backgrounders.